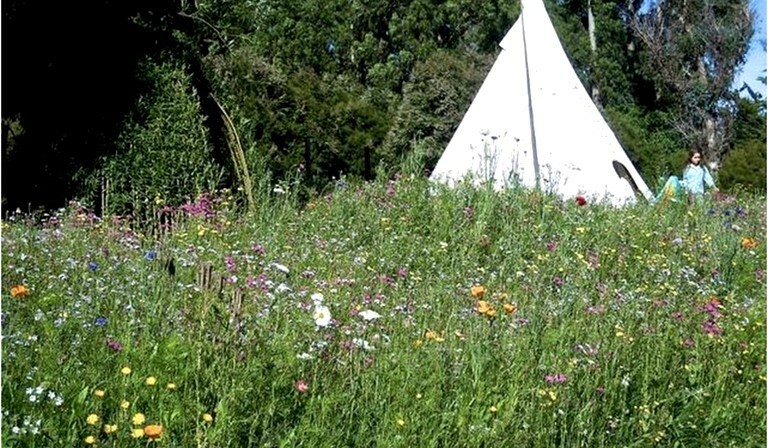 Settled in the picturesque organic garden, this glamping tipi is a great place for guests to enjoy a rejuvenating eco retreat. It has three single-size beds to accommodate small groups and families. It has a simple and comfortable layout, decorated with lovely rugs and cushions for a cozy feel. There is also a small lantern for lighting and a small table. 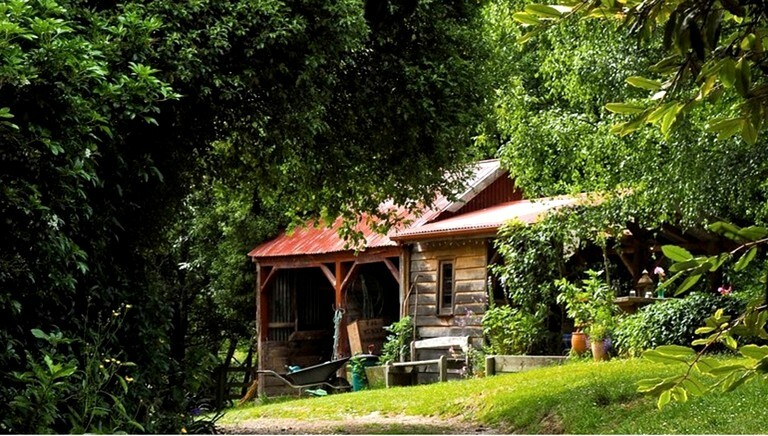 Plenty of facilities are provided to ensure that guests of all ages enjoy their stay at this New Zealand glamping site. There are play areas for children, and an art box and games are provided. There is a rowing boat in the pond, and there is a trampoline and a sandpit for having fun in the sun. 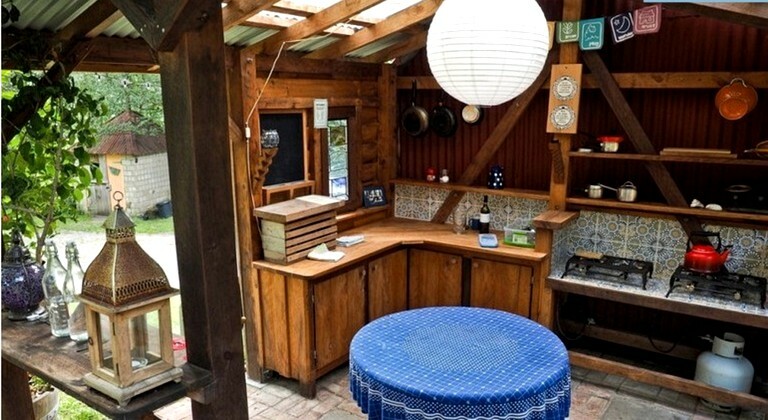 There is also a communal garden kitchen, which has fresh herbs from the garden for guest use. Organically grown vegetables are also sold at this site. 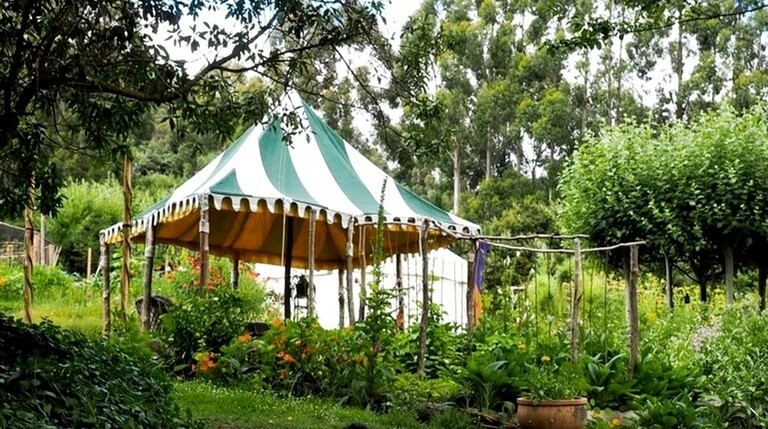 Glampers can cook their own feast in the garden, and the hosts specialize in Vegetarian feasts. 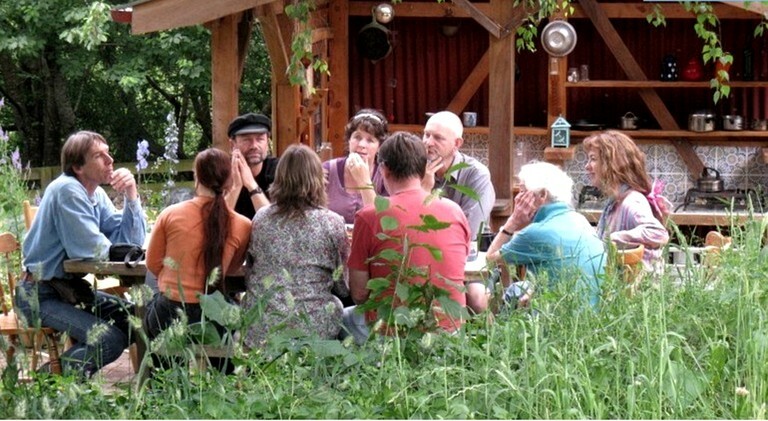 Events and gatherings can be hosted in the brick studio or in the yurts at this glamping site. 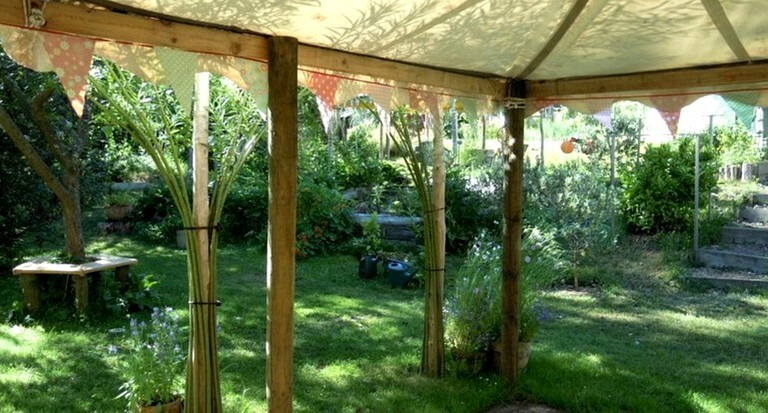 Up to 50 people can be accommodated in the garden area. 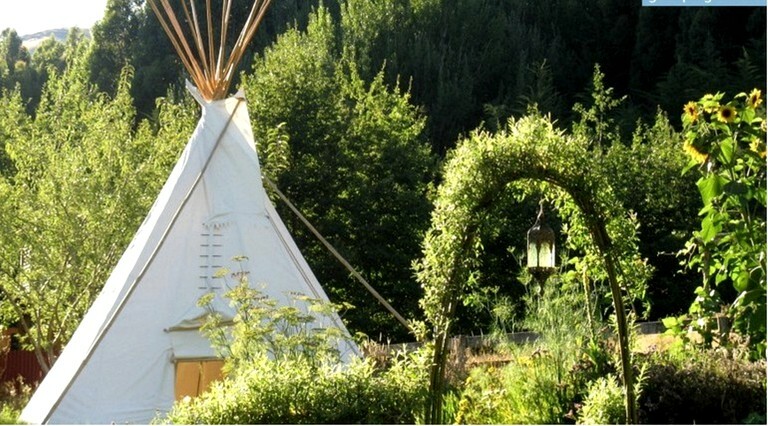 This glamping site has a lush organic garden and a tranquil pond for guests to enjoy. The Banks Peninsula is a naturally stunning location, and guests will have the privilege of exploring it throughout their stay. It has several beautiful bays and coves, and it is known for its volcanic origin. 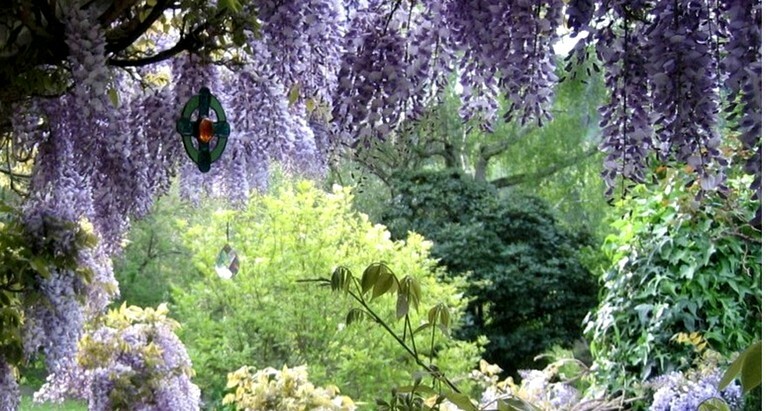 The property's gardens are stunning, full of flora and fauna and beautifully landscaped so glampers can simply relax and listen to the peaceful birdsongs. 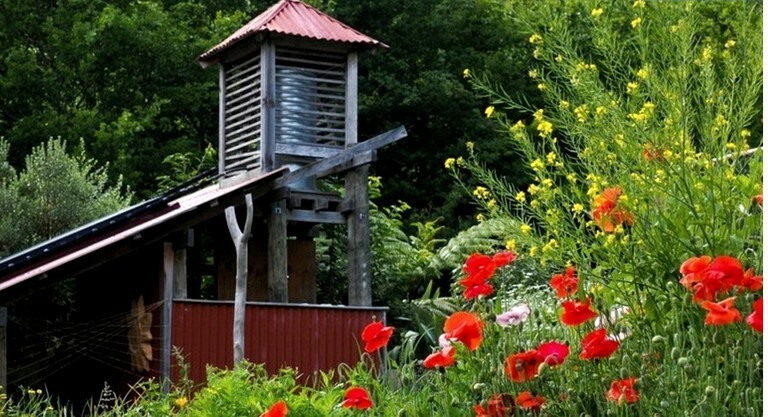 The area is perfect for all kinds of glampers, Akaroa and Christchurch are only a short drive away with plenty of attractions, shops, museums, bars, and restaurants. 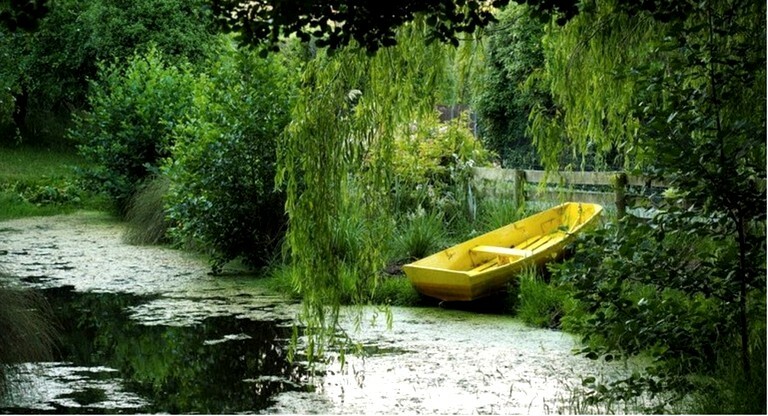 Glampers will have no trouble finding opportunities for sailing, kayaking, canoeing, golfing, and wine tasting. The property itself is perfect for relaxing and listening to the birdsongs and basking in the peaceful area. Linens are available for an additional charge of $10 per person, per stay. Rates are based on single occupancy. Children can enjoy the glamping experience for half price, and small children under the age of five can stay for free. Please note that rates are per-person and not per accommodation.